Yet again I’ve made a bag! 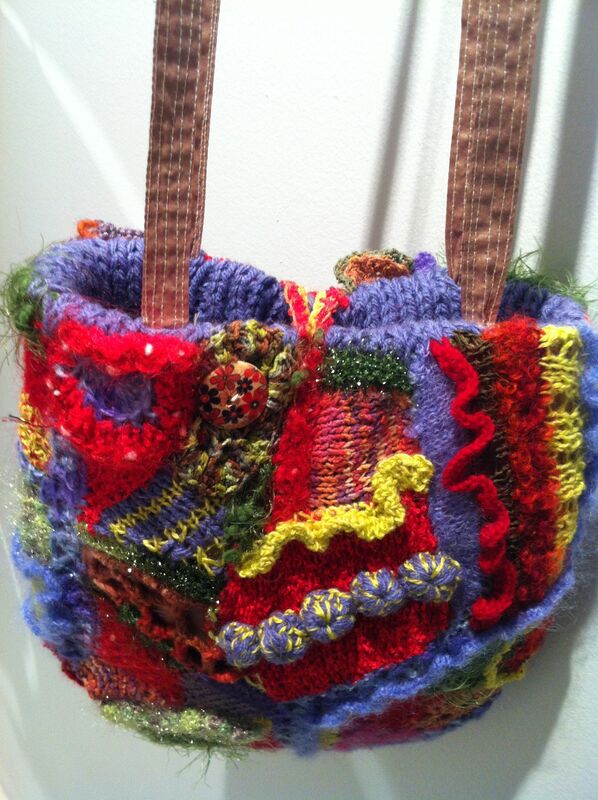 This time the inspiration was discovering that the WAFTA feature display at the Perth Quilt and Craft Fair from 22-26 May this year didn’t have a “traditional” freeform bag in it. 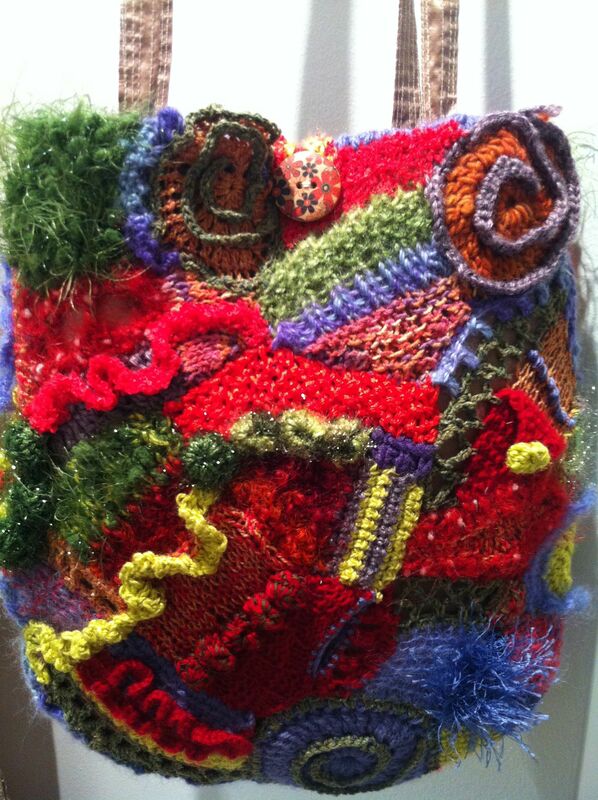 Conscious that followers of Prudence Mapstone (who will be at the Fair) would like to see a bag, I designed and made one. It took longer than I thought it would. Of course. It always does. Anyway, I decided not to do the stereotypical “pouch” or “dilly bag” style. I chose to back it with Annie’s Soft and Stable and to line it with a champagne coloured dupion silk. 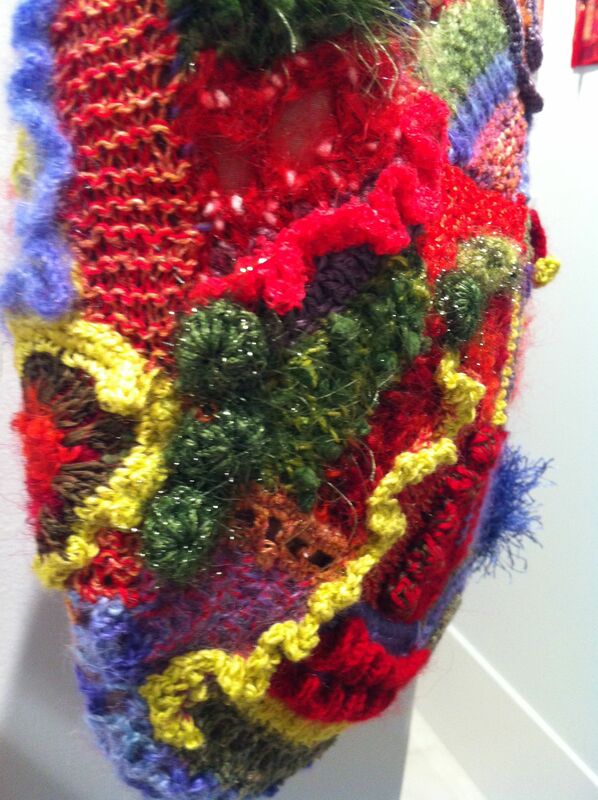 It’s made of wool, alpaca, mohair and cotton fibres. I’m quite pleased with it actually. The front of the bag taken straight on. 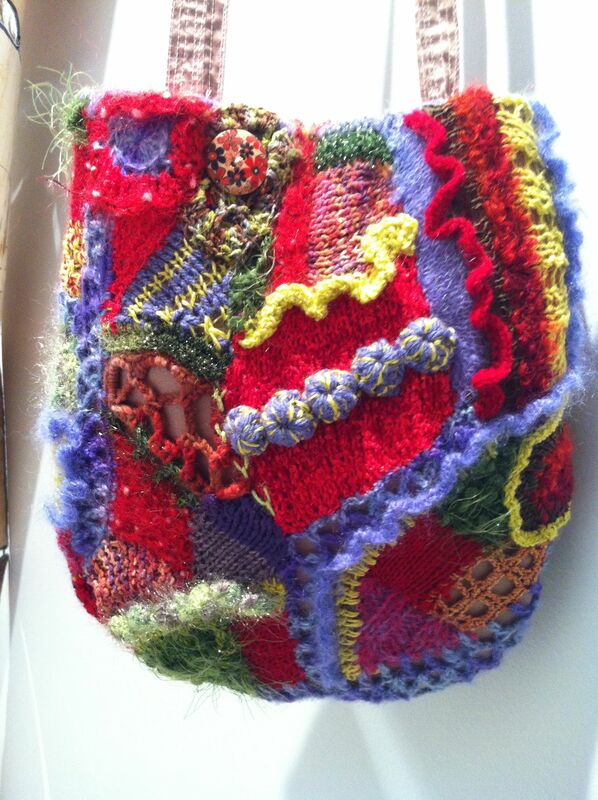 This entry was posted in Bag, freeform crocheting, freeform knitting. Bookmark the permalink. Looks fantastic. I love the colour and the lines. You must make sure that Prudence M sees it. This is gorgeous Margaret, look forward to seeing it in the flesh.